"Very efficient. Useful for stress and before going to sleep." 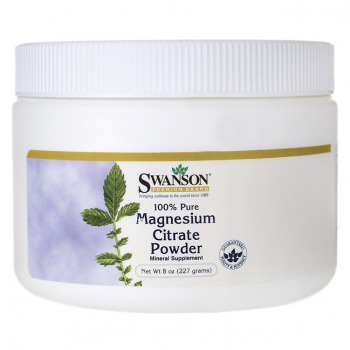 Now you may benefit from the advantage of our formula for optimal absorption – take your magnesium citrate in powder from Swanson. Dosing is easy: all you need is a scoop. In tune with the growing recommendations of experts to take additional minerals in citrate form, we have provided you with this opportunity with this product. 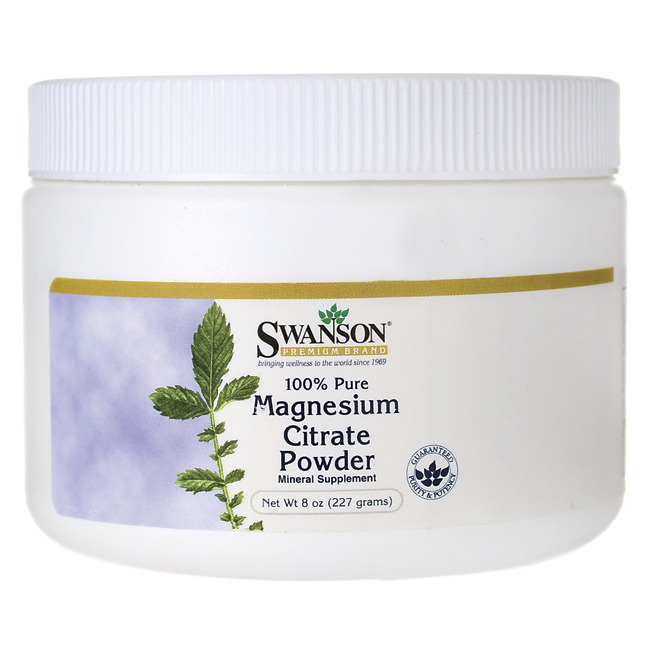 It is exactly what you need, if you are looking for high-quality magnesium citrate powder. The powder form makes it easy to dose and offers you an alternative if you have problems with swallowing large pills. Suggested Use: As a dietary supplement, mix one scoop (3.9 grams) in eight ounces of your favorite liquid. It is recommended to take with food. Scoop included. WARNING: Consult your healthcare provider before use if you are pregnant, nursing, taking prescription medications or have a medical condition. NOTE: Product contains desiccant packet to maintain freshness. Do not eat the desiccant packet.